For more than 60 years Cramo has been a pioneering force in the rental industry. Being in the forefront doesn’t only require the ability to meet customers’ needs when it comes to rental equipment, it also requires a thorough understanding of how our customers daily work is carried out. Only with this understanding we have been able to create services to help, support and strengthen you. Our services are designed to optimize your working process, lifting your business and bringing you a great day at work. We offer services related directly to our equipment as well as certain on-site services. We also provide total solutions in selected areas. We help you manage your projects from beginning to end, by assisting you in areas that might not be your field of expertise. Like recommendations on alternative methods and equipment or capacity needs, user and safety instructions, advice on applicable HSE (Health, Safety and Environment) regulations and standards. Safety on the construction site is key in creating a good working environment. And stronger demands from authorities puts more emphasis on safety than we are used to. We offer a wide range of products, services and training to make your working day safer. Read more about Cramo School. In order to help you to be more productive and to save time and money we offer services in the entire chain from transportation and delivery to maintenance and services on site, and pick-up after completion. This helps you to be more efficient and puts less strain on our environment. Humidity control services offers know-how on how to protect both new and existing constructions from humidity and humidity damage. The service includes planning of measures and the dimensioning and installation of equipment as well as surveillance and control during the construction period. It is an efficient way for customers to avoid costly damage and delays in the building process. Cramo is keen to maintain a high level on health, safety and environmental matters (HSE). Customers renting from Cramo will be assured that machines have been checked to meet high demands on quality, safety and the environment. In HSE services Cramo also offers training, environmentally adapted oils and fuels, products for safe handling of fuel and chemicals at construction sites, sales of personal safety equipment and HSE advice and instructions for machines and working processes. When damage from moisture is already a fact, customers can get professional help using our moisture damage services. It means that Cramo takes responsibility for measuring and mapping humidity, organizing efforts and supplying drying equipment to control and stop the damage. Moisture damage services provide a complete package, with Cramo helping to take control of moisture and damage from moisture while the customer can concentrate his resources on keeping up the work in the project. Dust on construction sites is caused by a number of different factors and can be a serious health hazard. In air quality management services, Cramo has concentrated on how dust can be collected and filtered at the source before it spreads into the air. The most important dust control methods are the use of negative pressure spaces, sealing of dusty spaces, and local exhaust and central vacuum equipment including the HEPA filter standard. Cramo offers a number of smart concepts, which are basically a mix of products and services that are bundled together in order to achieve specific results and benefits. The objective is to provide a complete solution that helps our clients to optimize their working processes and to achieve efficient results. This solution offers services for extracting dust, chips, oil spills, dirt, micro particles and other substances that could be unhealthy to people working in a building and an obstacle to efficient working processes. It is a total solution for managing clean construction sites and working environments that comprises suction equipment, dust extractors and other cleaning equipment together with consultancy and managing services. The Cramo Dry Construction solution bundles products and services consisting of industrial sheds, weather shelter and sophisticated weather protection solutions, heating and drying equipment combined with consultancy and measurement services, training and education. The solution minimizes the risk of costly damage to the building during the construction phase and enables uninterrupted and efficient working processes despite unfavourable weather conditions. The Cramo Smart Energy solution focuses on arrangements to achieve extensive savings on energy consumption in the heating and lightning of modular space. The products included in the solution are a new type of low-energy site hut that, combined with an efficient insulation method, reduces energy consumption by 35% and a new type of outdoor lightning that together with the site hut results in a 50% reduction at the construction site. The solution also includes services for monitoring and follow-up. 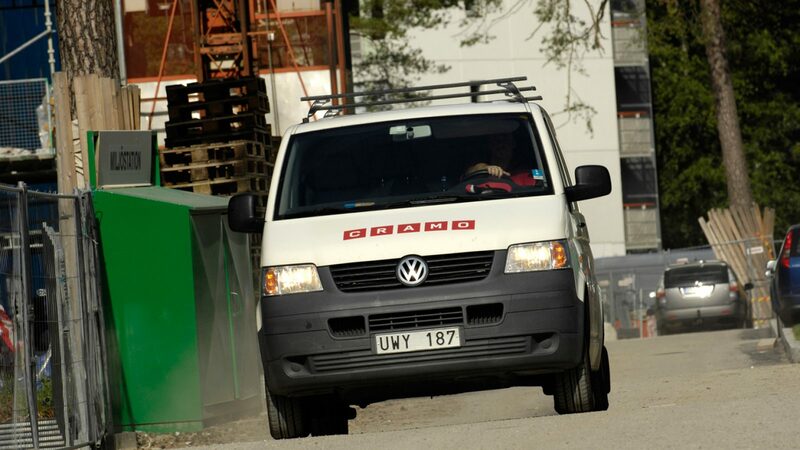 Cramo offers security products and services to help customers to achieve a secure workplace. The offer is based on a smart card solution that prevents unauthorized people from entering the worksite, certain parts of it or installations on the worksite. It also provides statistics and follow-up on staff and visitor attendance. The solution consists of entry systems, help with smart card applications and the training of users. Customer benefits are mainly the reduced risk of theft and damage, better security in all parts of the site and better follow-up on the customer’s and subcontractors’ staff.